MP Vyapam Answer Key 2019: Middle School Teacher 2018 Model Answer Key 2019 is available now for MP Vyapam Middle School Teacher Exam 2019. The exam was organized by MP Vyapam - Madhya Pradesh Professional Examination Board (MPPEB) . MP Vyapam MP High School TET Answer Key 2019: MP Vyapam - Madhya Pradesh Professional Examination Board (MPPEB) has issued the Answer Key on 13 Feb 2019 for MP Vyapam MP High School TET Exam 2018. Answer Key can be accessed from the link given below. MP Vyapam Group 4 Various Post Re Exam Answer Key 2018: MP Vyapam - Madhya Pradesh Professional Examination Board (MPPEB) has issued the Answer Key on 18 Sep 2018 for the exam which was conducted on 15 Sep 2018. Answer Key can be accessed from the link given below. MP Vyapam Nayab Tehsildar Re Exam Answer Key 2018: MP Vyapam - Madhya Pradesh Professional Examination Board (MPPEB) has issued the Answer Key on 18 Sep 2018 for Nayab Tehsildar Re Exam 2018 which was conducted on 15 Sep 2018. Answer Key can be accessed from the link given below. MP Vyapam Group 3 Sub Engineer Answer Key 2018: MP Vyapam - Madhya Pradesh Professional Examination Board (MPPEB) has issued the Answer Key on 07 Sep 2018 for Group 3 Sub Engineer Exam 2018 which was conducted on 01 Sep 2018. Answer Key can be accessed from the link given below. MP Vyapam Group 2 Sub Group 2 Answer Key 2018: MP Vyapam - Madhya Pradesh Professional Examination Board (MPPEB) has issued the Answer Key on 07 Aug 2018 for Group 2 Sub Group 2 Exam 2018 which was conducted on 04 Aug 2018. Answer Key can be accessed from the link given below. MP Vyapam 10+2 Group 4 Various Post Answer Key 2018: MP Vyapam - Madhya Pradesh Professional Examination Board (MPPEB) has issued the Answer Key on 01 Aug 2018 for the exam which was conducted on 28 Jul 2018. Answer Key can be accessed from the link given below. 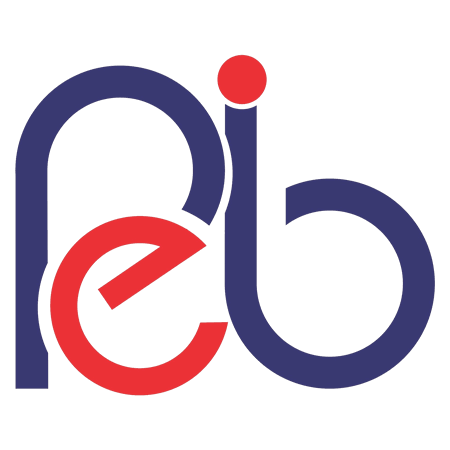 MP Vyapam BBED Answer Key 2018: MP Vyapam - Madhya Pradesh Professional Examination Board (MPPEB) has issued the Answer Key on 06 Jul 2018 for BBED Exam 2018. Answer Key can be accessed from the link given below. MP Vyapam PAT 2018 Final Answer Key: MP Vyapam - Madhya Pradesh Professional Examination Board (MPPEB) has issued the Answer Key on 31 May 2018 for PAT Exam 2017. Answer Key can be accessed from the link given below. MP Vyapam Group 2 (Sub Group 3) Final Answer Key 2018: MP Vyapam - Madhya Pradesh Professional Examination Board (MPPEB) has issued the Answer Key on 16 May 2018 for the exam. Answer Key can be accessed from the link given below. MP Vyapam ANM Admission Test Answer Key 2018: MP Vyapam - Madhya Pradesh Professional Examination Board (MPPEB) has issued the Answer Key on 16 May 2018 for the exam which was conducted on 13 May 2018. Answer Key can be accessed from the link given below. MP Vyapam Group-2 Sub Group-4 Answer Key 2018: MP Vyapam - Madhya Pradesh Professional Examination Board (MPPEB) has issued the Answer Key on 02 May 2018 for Group-2 Sub Group-4 Exam 2017. Answer Key can be accessed from the link given below. MP Vyapam MP Pre Polytechnic Test PPT Answer Key 2018: MP Vyapam - Madhya Pradesh Professional Examination Board (MPPEB) has issued the Answer Key on 21 Apr 2018 for the exam. Answer Key can be accessed from the link given below. MP Vyapam Group 2 Sub Group 3 Answer Key 2018: MP Vyapam has issued the Answer Key on 02 Apr 2018 for the exam which was conducted on 27 Mar 2018 to 28 Mar 2018. Answer Key can be accessed from the link given below. MP Vyapam Assistant Quality Controller, Other Post Answer Key 2018: MP Vyapam has issued the Answer Key on 28 Jan 2018 for Group - 2 (Sub- Group -1) Combined Recruitment Test - 2018 for Assistant Quality Controller and Other equivalent Posts. Answer Key can be accessed from the link given below. MP Vyapam ASI LDC, Subedar Steno, LDC & Stenographer Final Answer Key: MP Vyapam has issued the Answer Key on 09 Jan 2018 for Asst. Sub-Inspector (LDC), Subedar (Stenographer), LDC & Stenographer etc. Recruitment Test For Police H.Q., Home (Police) - 2017. Answer Key can be accessed from the link given below. MP Vyapam Patwari Answer Key 2017: MP Vyapam Answer Key for the MP Vyapam Patwari Recruitment 2017 which was held on 9 Dec 2017. The Answer Key is available now which can be accessed from the link given below. Sub Engineer Exam 2017 Final Answer Key: MP Vyapam Answer Key for the exam is available now which can be accessed from the link given below. Block Extension Officer, Other Post Answer Key 2017: MP Vyapam Answer Key for Group-01 (Sub Group-3) Combined Recruitment Test-2017 for Block Extension Officer & other equivalent posts is available now which can be accessed from the link given below.